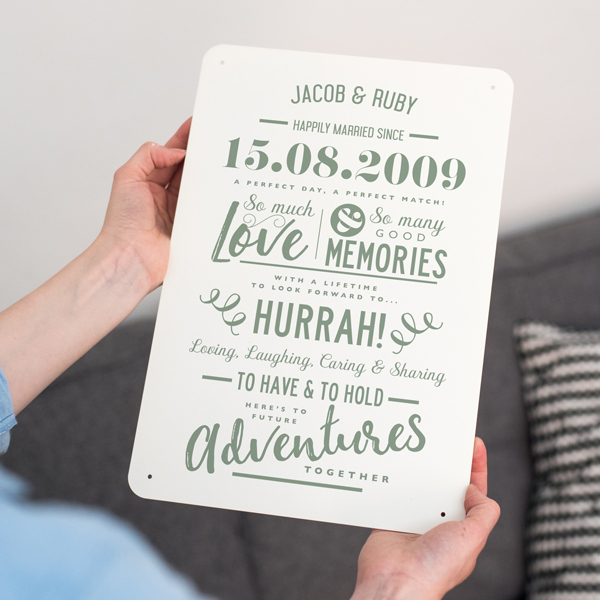 This Personalised Metal Anniversary Typographic Print makes a unqiue personalised 10th anniversary gift – 10 years being tin. 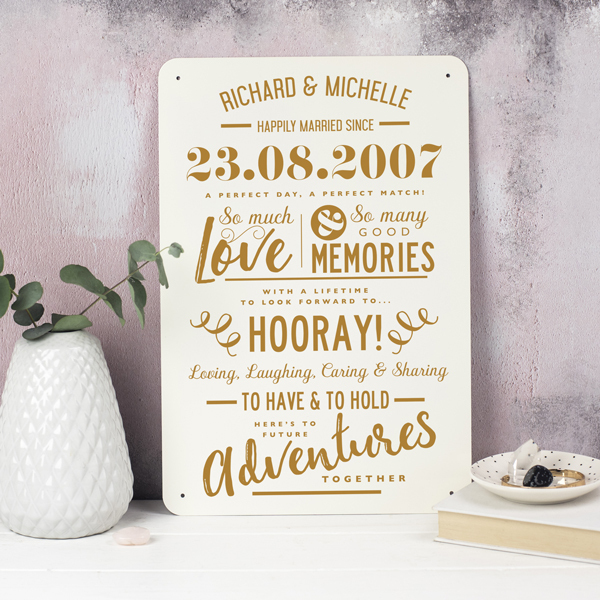 This Personalised Metal Anniversary Typographic Print is a thoughtful gift that will be treasured for years to come. 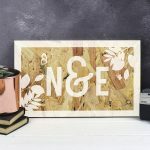 Printed directly onto coated metal, this typographic print makes a beautiful personalised 10th anniversary gift, 10 years being tin. 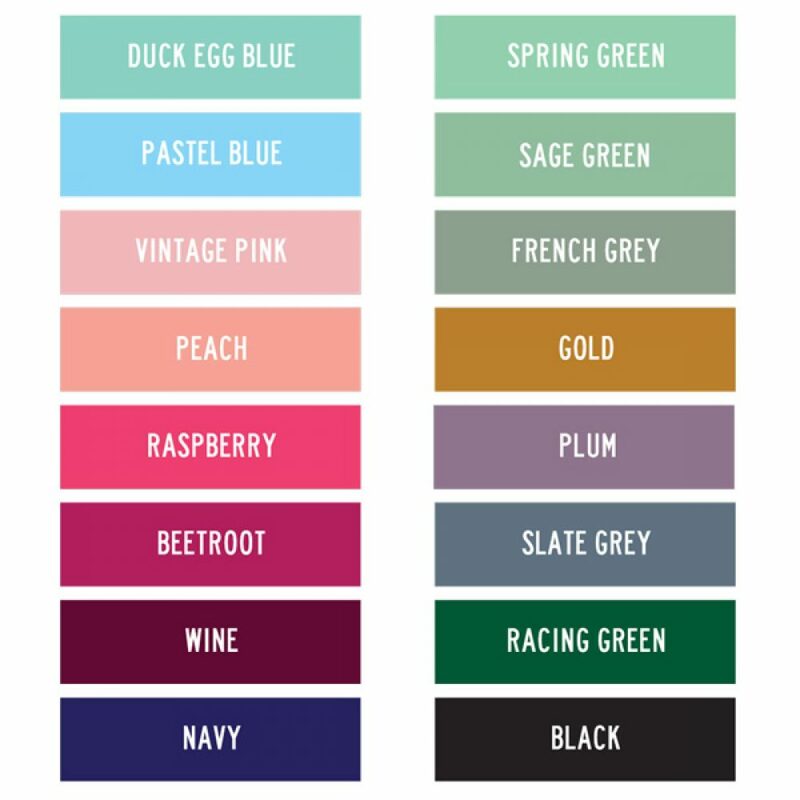 Your personalisation is available in a choice of 16 colours – take a look at the colour palette to see our range of colours. 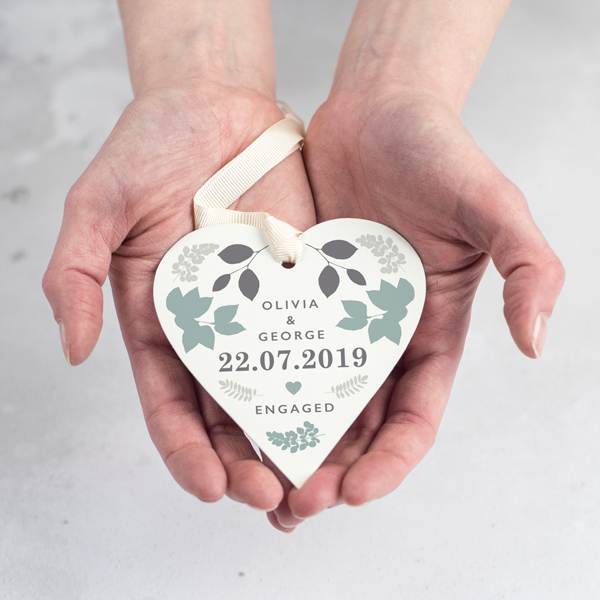 The couples names are printed on the top line, followed by the wedding date and an exclamation word such as ‘hooray!’, ‘hurrah!’ or ‘woohoo!’, or a word that has special meaning to the couple. Please remember to double check the spelling, dates and grammar of your personalisation as once it is printed it can’t be changed. 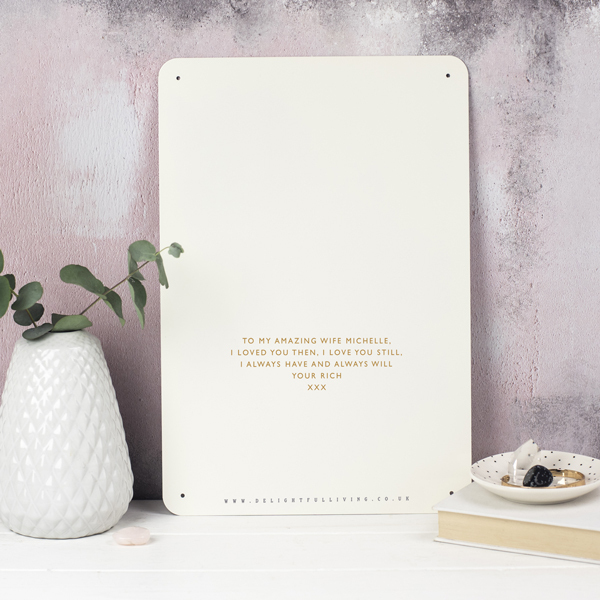 The metal print is designed to be propped on a shelf or mantlepiece creating a beautiful piece of art. 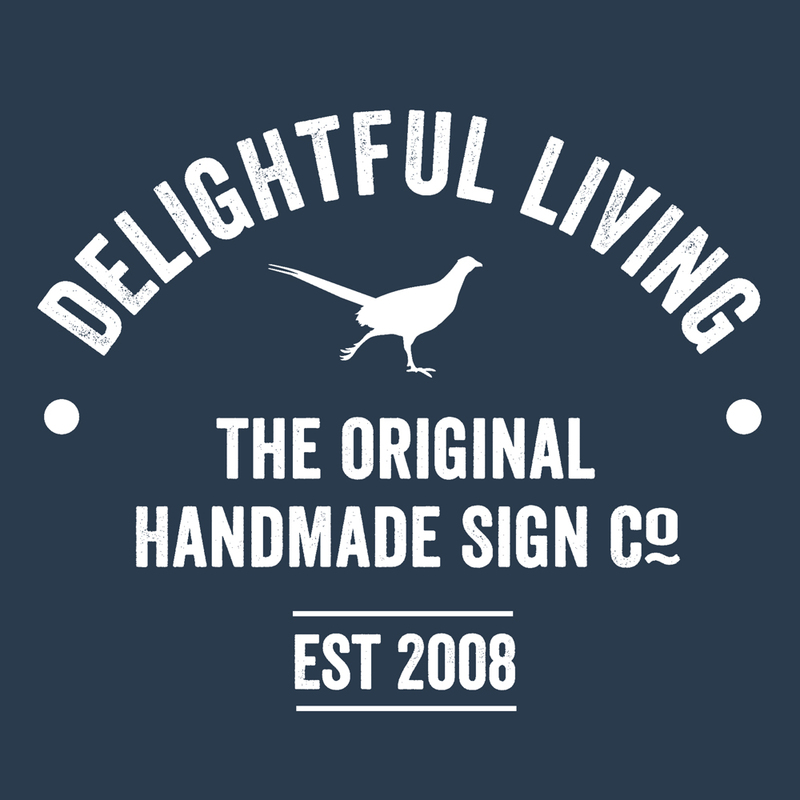 Designed, printed and beautifully packed in our Derbyshire workshop and studio. 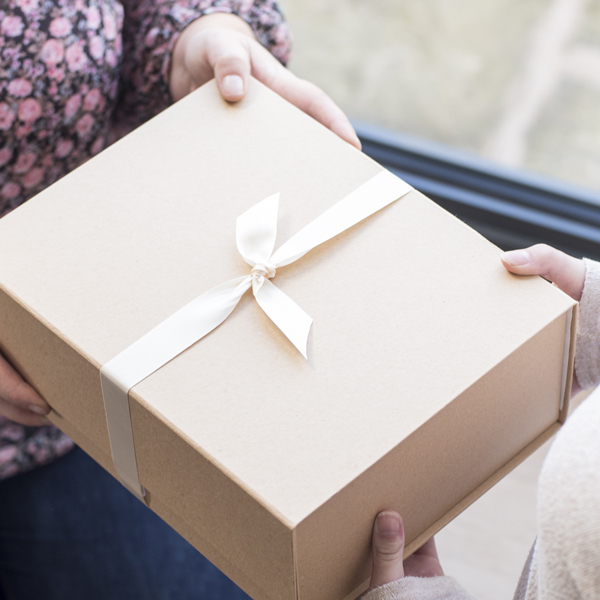 We can also gift wrap and send direct to the recipient with your message on a gift card – just choose the gift wrapping option when ordering.